If there's a better way to impress your friends than with cocktails, I don't know what it is. Some nice glasses, quality spirits, and a recipe that doesn't involve pre-made margarita mix, and you'll automatically look suave. However, the most overlooked cocktail accoutrement (and the coolest, in both senses) is the ice. Large square ice cubes have become popular at bars all over, but nothing is slicker than a ball of ice for your cocktail. 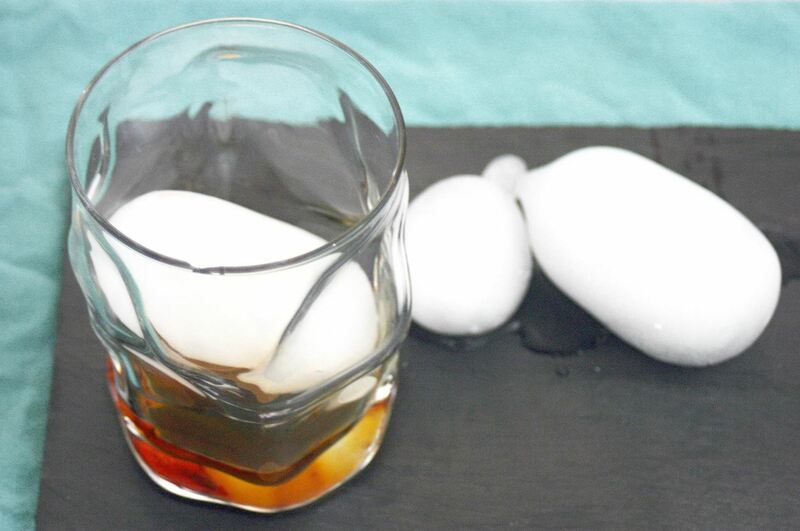 You can easily buy an ice tray that'll make "Whiskey Ball Ice," but you don't need one if you have some water balloons at home and don't care to invest in something you might not use all of the time. 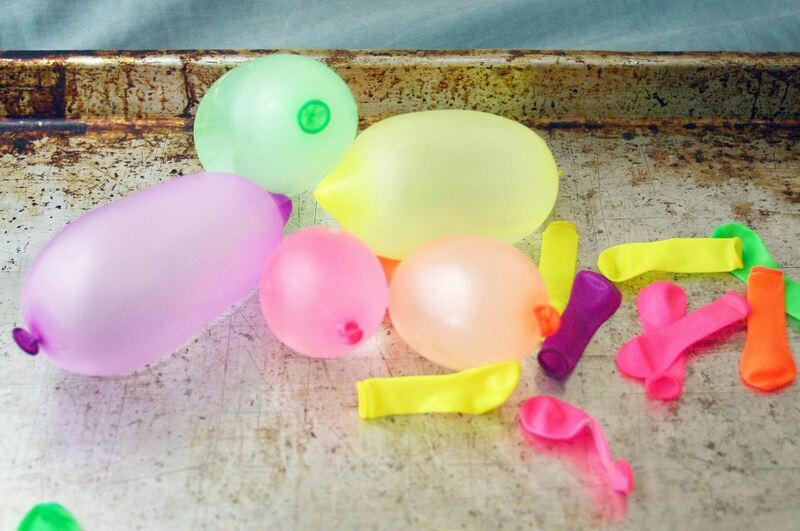 Unless you're going for a spring-break-in-Cancún-sized beverage, keep your water balloons relatively small so they don't take up the entire glass. 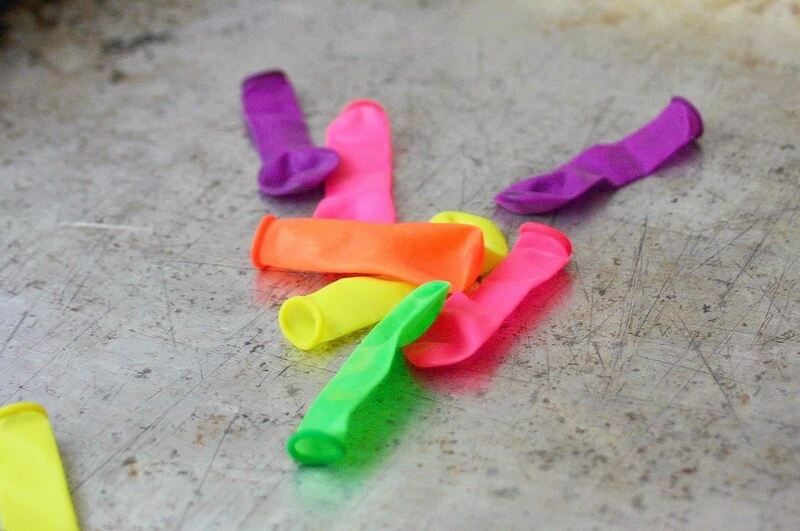 Different water balloons have different qualities, so if you want to become a circular ice aficionado, it's worth trying a few different balloons (the ones I used, for instance, tended to form in more of an oblong shape than a circular one). And if you want to add some flair, try flavoring the water. 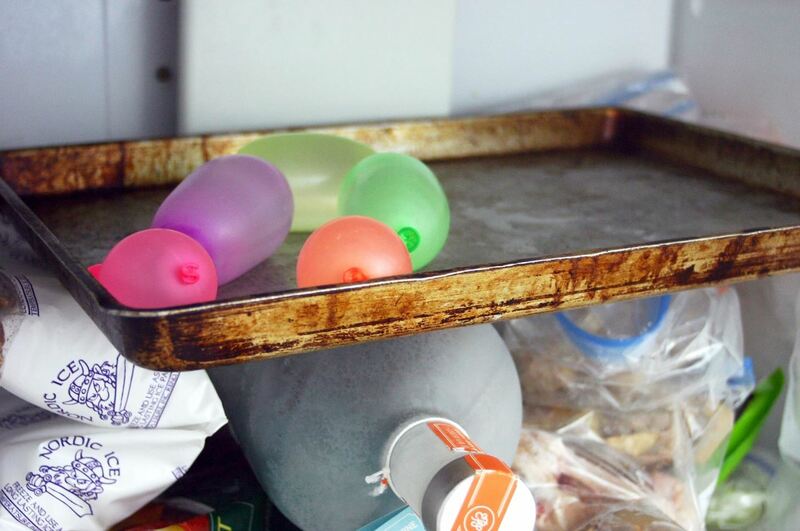 Place your water balloons on a tray or a plate (or any surface that keeps them from touching each other), and put them in the freezer for a few hours, or until you're ready to use them. Using scissors or a paring knife, cut a hole in the tip of the balloon, and unwrap the plastic; what's left will be a perfectly round piece of ice to enjoy in your beverage of choice. Even though chilled whiskey is frowned upon by purists, a few drops of water actually enhances the flavor, though too much quickly dilutes it. Because of the surface area relative to the volume, a circular ice cube will melt more slowly than a traditional one, thus allowing your whiskey to stay cold and strong. (To alleviate all water issues, though, you could just buy some whisky stones). But the best part of this hack? I bought 150 water balloons for $3.00, meaning I can make 1,000 ice balls for the same price as Brookstone's ice ball maker. Or better yet, I could make 900 and throw 100 water balloons at my friends (though I could just save them for whenever I need chocolate bowls). ah, so simple - thanks!